Jonathan Tame, Executive Director of Jubilee Centre at Cambridge University, challenged the Greek Church and Society to find the solutions to her economic problems in the Biblical values of relationship, which already is deeply rooted in Greece. 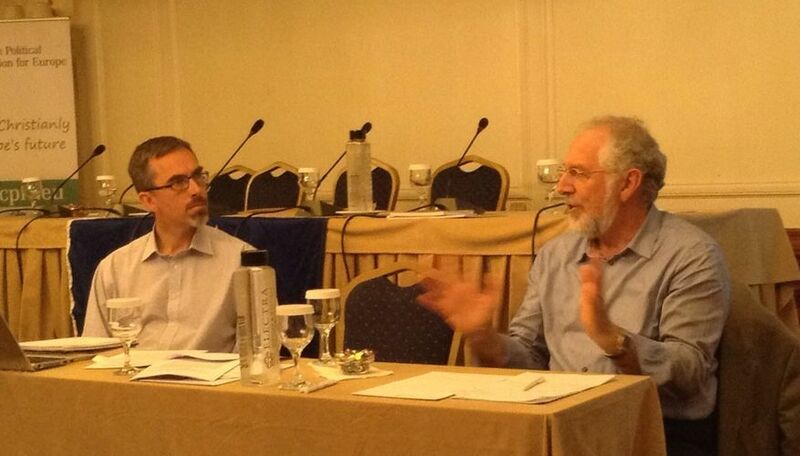 Jonathan Tame of Cambridge and Ignatius Meimaris of Thessaloniki led the working session on the Greek economy. 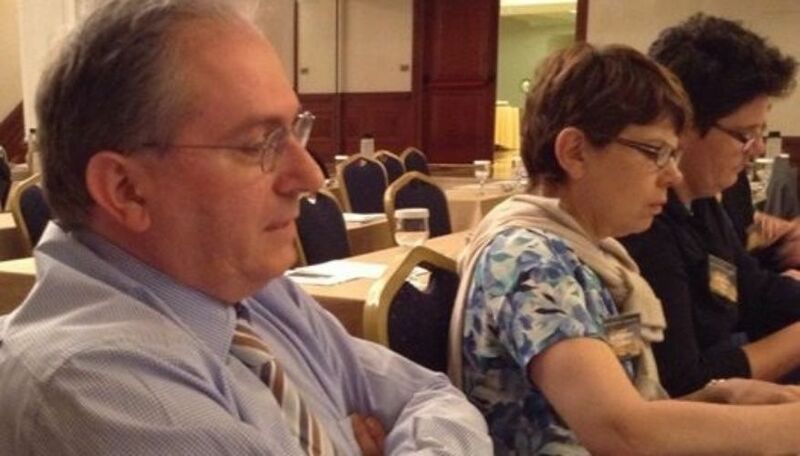 The Cambridge University scholar spoke at a working session on the economic challenges of Greek society, which was attended by leaders within the Greek Church, both Orthodox, Evangelical and Pentecostal, and leaders within Greek society, as well as international Christian leaders from some 20 European nations. Jonathan Tame's challenge was well received by the Greek leaders. He stated: -Christianity a relational religion. Biblical law is a design for relational society. Jesus is the only perfectly relational person. God’s interest: not only interpersonal relationship, but the goal of shalom is relational wellbeing. The English thinker and author said also: -If the economy is not relational, it will be neither just nor sustainable. Relationships lie behind all economic and financial transactions. A relational economy is one which promotes good and right relationships at every level. The pattern and guide for this is found in a very old textbook… the Bible! Tame concluded: -There is great social and economic distress in Greece, leading to political unrest. This is caused by a combination of debt, unemployment, poverty and lack of healthcare. The current crisis has resulted from globalisation of trade and the immediate problem of an overvalued exchange rate (the Euro). Historical reasons for the crisis stretch back to the Ottoman Empire and the Second World War; lack of social harmony makes it hard to establish fair procedures in civil service appointments, use of government funds and local government. To move towards a resolution of these challenges requires fresh social and relational initiatives, which might include a Trust and Reconciliation Commission and an annual Day of Forgiveness. As debt is relationally toxic in most cases, fresh economic policies are needed to lower levels of household indebtedness. These might include negotiation for a write-off of national debt, and a shift from debt to equity in business and housing finance. George Kaloterakis who is the President of the Greek Evangelical Alliance, played a prominent part in the discussions on the Greek economy. George is an accomplished financial expert in Greece and is readily listened to in his natin.